...this has been the mission of SURFACE since 1988! The striving for perfection of our products has always been the driving force of our business. This is visible in all of our products – we don't stop engineering when it “just works”. Thus our products provide reliable and versatile solutions for your research needs. 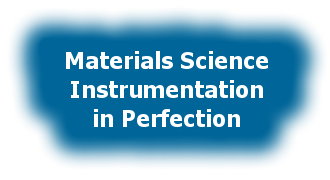 SURFACE nanometrology develops and distributes nanometrology instrumentation with dedication to performance and quality. Sample characterization services are provided by the SURFACE Nanolab. Both products and services are oriented on the satisfaction of the customer. SURFACE systems+technology GmbH & Co. KG provides PLD and UHV technology that is known for its innovative design and for the highest engineering standards. The PLD-Workstation and the Laser Star Laser MBE cluster systems by SURFACE systems+technology GmbH & Co. KG have set benchmarks in the thin film science community.